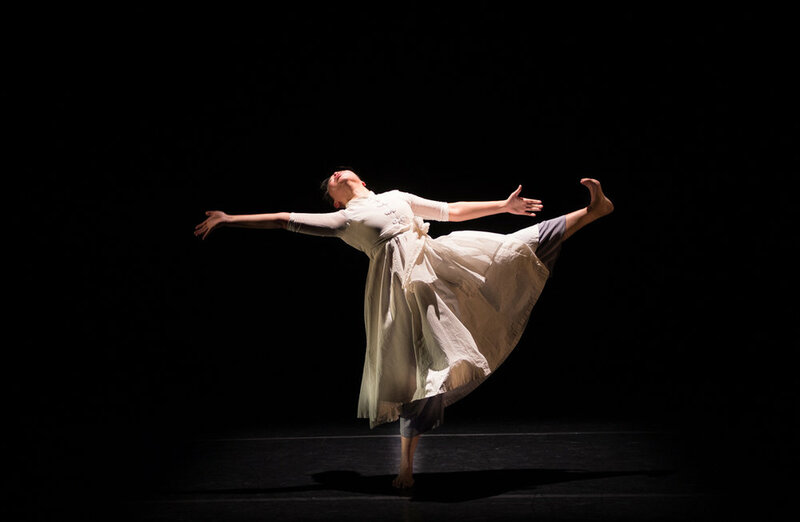 A piece inspired by Jane’s late grandmother who suffered from Alzheimer’s disease, the older adults she met through movement and dance projects in community and hospital settings, Jane explores the emotions behind these personal stories; the uncontrollable constraints, be it physical, mental, circumstances that were imposed on individuals who rise above the void. 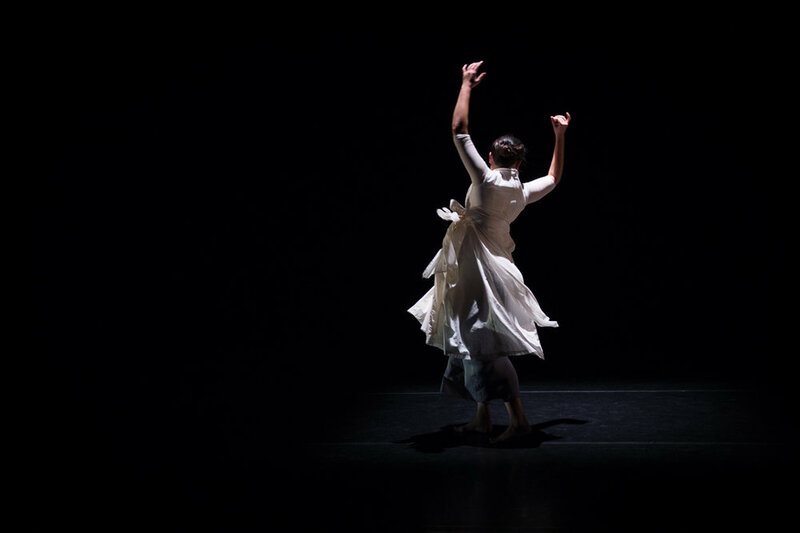 Void (work-in-development) Presented at Resolution, The Place, London | 11 Jan 2019 supported by Hong Kong Economic and Trade Office, London, alongside continued generous support from Amina Khayyam Dance Company, East Asian Ticket Club and rehearsal space supported by Kala Sangam. The first performance on the first night at the Place’s annual Resolution Festival presented last answers to final things. Vastness itself was address in the response only a solo performance can resolve. Jane Chan’s Void, uncluttered by any article, opens with a visual display of the human, not its predicament, but our condition. In crude parlance she’s got our number - and that number is infinite. From darkness, she appears flowing in white, seated beneath a hovering of light, but somehow she is giving out that encircling dark set round her. The white vapour hovering above, not quite a cloud, is more a suspended ether balancing with the human waiting below. In double reflection, before the first movement of this body supple in its rigor, we are known to ourselves. Here glows a radiance she will simultaneously animate and eliminate with her physical grace. We watch as she both enacts and erases the courage and dignity which impelled this work’s creation. Visits to an infirm grandmother impelled this response to all those in hospital; to all those sheeted and swaddled in white. That was but the place of departure, she arrives with a work of hands which are the evening’s real illuminations. Their classically informed gestures developed more personal character in space than I have ever witnessed on any stage. Ever evolving, turning out and in, rounding in angles, flowing to heart and out again, we witness the human struggle with the Absolute which never takes notice. Oh but we do of these addresses to empty space by this silent kathak of hands refusing to cease thought their singing fingers are unheard, unanswered and unseen. Though the body rises and falls, though three times the light extends but cannot be walked into, though all that surrounds can neither be grasped nor whipped away nor foreshortened, the audience is left saturated and astounded by nothing.